If you suffer from anemia, this basically means your red blood cells are not doing their job. This may be because you don’t have enough of them or because they’re not functioning properly. Their job is to bring oxygen to the other cells throughout your body, and without enough oxygen for your cells, you’re at risk of becoming anemic. Because anemia can be diagnosed with a simple blood test, it’s a good idea to see a medical professional if you suspect this may be an issue for you. A medical professional can also determine the cause of your anemia and help you start treatment or refer you to a specialist. If you’re anemic, you’re likely suffering from several of the symptoms associated with this disorder. These symptoms include a headache, yellowing of your skin, chest pains, dizziness, fatigue, trouble breathing, cold extremities (especially your feet and hands), an irregular heartbeat, and pounding sounds in your ears. Because these symptoms can be mild or associated with other types of health problems, some people are anemic for a long period of time because they’re diagnosed. That’s why understanding the risk factors of anemia is very important, especially if you have any of the symptoms of anemia. If you’re experiencing any of the symptoms listed above or if you have any of the risk factors associated with anemia, it may be wise to see a medical professional for a quick blood test. 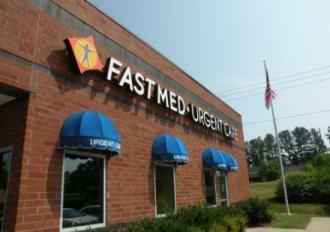 Visit your local FastMed Urgent Care clinic today. Be sure to like FastMed on Facebook for more health-related tips and news.